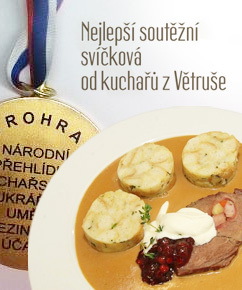 The four-star Hotel Větruše accommodation in Ústi nad Labem covers everything any guest might expect: complimentary expanded reception services (concierge), cozy and bright rooms decorated in warm, earthy tones, room service, disabled access, 24 hour lobby bar and a fine on-site restaurant. Is there anything better for you than a good night’s sleep? Just like exercise and a healthy food, a good night’s rest is absolutely vital for a fit body and mind. Therefore at Saffron we design each of our beds with only natural materials; blended and hand- crafted, to give your body the kind of rest it needs to replenish itself after all the stress and exertions of even a normal day. Now you can enjoy a perfect night's sleep with Saffron beds in some rooms at The Hotel Větruše. The Forum shopping centre, which is connected to hotel Větruše by a cabin funicular line, offers a variety of services such as childcare, cinema, hairdressers and also exciting shopping opportunities. Our facilities include tennis courts, a multi-purpose pitch forfootball, volleyball or basketball, a gym including Green Sport equipment such as spinning bikes, treadmills and in addition there are jogging possibilities or possibilities for cycling along the river Labe. The cycling paths offer great opportunities for cyclists of all ages, including children as well as fans of rollerblading. How about champagne and strawberries in the hot tub or fresh lime lemonade afterherbal sauna? Our hotel specializes in wellness services. These include a wooden sauna, heated hot tubs, jade massage beds with hot lava stones and professional therapeutic massages using medicinal emulsions and conditioning oils. The Větruše restaurant offers a brand new cozy interior as well as a traditional Austro-Hungarian cuisine and a wide selection of local and international wines and mixed drinks. 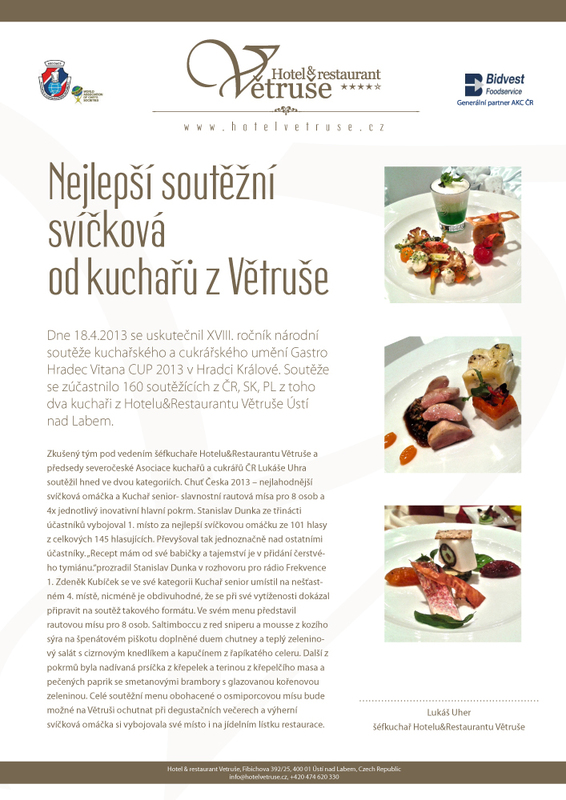 Welcome to the website of Hotel and Restaurant Větruše in Ústí nad Labem, which was completed and opened December 1, 2012. The hotel offers a total of 80 beds in 45 luxuriously furnished rooms, a fine restaurant and variousotherservices that will satisfy even the most demanding client. The Větruše restaurant offers a brand new cozy interior as well as traditional Austro-Hungarian cuisine and a wide selection of local and international wines and mixed drinks.